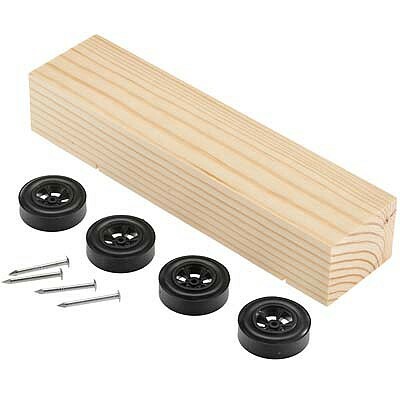 Create your own original Pinewood Derby Car with this basic car kit. Retail $3.99 SAVE 25% ! Excellent kit, I&apos;ve been ordering 70 plus of these kits for the past 6 years and never had problem. Hobbylinc has the best prices on the internet for them. Carefully selected, fine-grained soft wood. Easy to shape and sand.